Why is it called Pilates? Pilates is a style of exercise named after its creator – Joseph Pilates. The idea behind Pilates is to create more stability through the body – that is, making core muscles stronger through working more efficiently. This is different to the type of training done at a gym which is called rigidity training – increasing strength and power. What are your core muscles & Why improve them? These are comprised of transversus abdominus and multifidus and when working well, they will improve the stability of the trunk which then improves how the rest of your body moves. This improves your performance of daily activities and sports performance and reduces your injury risk. Why do Be Your Best Physios remind Pilates participants to choose easier options in class? In Pilates, your core muscles should work below their maximum effort. People often fall into the trap of over activating their core muscles and recruiting other accessory muscles to perform harder exercises – but this does not improve core stability efficiency. By choosing easier exercises, performed perfectly, there is a greater improvement in core control. 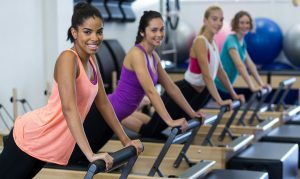 What is clinical Pilates versus the Pilates that is offered at my local gym? Clinical Pilates is taken by a Pilates-trained physiotherapist whereas other variations of Pilates can be taken by someone who has completed a course. Because of this, clinical Pilates can be completed by people with a wide range of injuries as our Physios understand how the body moves, what movements can make injuries worse, and what movements will help you get better. 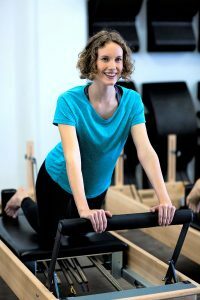 Clinical Pilates is also completed on a Pilates reformer; the advantage of this is that the reformer can be used to make exercises easier or harder – that’s why here at Be Your Best, we are able to take pregnant and post- natal women as well as people recovering from injuries in our classes! Yoga is a type of exercise derived from traditional Indian and Himalayan practices. There are many different types of yoga, and each teacher will have their own style too. Hatha, Bikram (hot yoga), Vinyasa, Power and Ashtanga are the most common styles. We believe it works on the theory that the body, breath and mind need to work in union to create feelings of happiness, self-awareness and health. Most yoga styles focus on improving flexibility and not as focused on improving core control. Therefore, if you have an injury or deficiencies in muscle strength, Pilates may be the better form of exercise to begin with. In you are wanting to improve your flexibility and create a strong connection between mind and body, yoga may be best. Often people who consider themselves very flexible, however have aches and pains, and suffer from a condition called Joint Hypermobility Syndrome. This means your ligaments and connective tissues stretch more than average which can put more strain on your joints. People with Joint Hypermobility need to be very careful completing yoga as it may exacerbate symptoms, if performed poorly. If you are unsure of whether you have this condition, book an appointment with any of our physiotherapists and we can assess and address any concerns you may have. COMING SOON: Keep an eye on our Facebook page to see last minute Pilates class available spots (when our regular clients are unable to attend). Not sure if Physiotherapy is for you? The Australian Physiotherapy Association has launched a new website, CHOOSE PHYSIO (www.choose.physio), to explain the injuries that Physiotherapists can treat and how Physiotherapy can help you. At Be Your Best Physiotherapy we specialise in the treatment of Neck and Back Pain, Sports Injuries, Pre & Post-Natal care and Pelvic Floor Rehabilitation. Still not sure if Physiotherapy can help you? You are welcome to ring Be Your Best Physio (5996 2693) to discuss your injury or concerns over the phone, with one of our experienced Physiotherapists. New mums are welcome to join our DRAM rehab class from October 2017. Specifically designed for new mums from 6 weeks post-birth, to assist with the rehabilitation of abdominal separation and reduce neck, back and pelvic pain. Babies welcome to attend class – we will have an assistant in class to help with the little ones! Individual Pilates sessions now available with Be Your Best Physiotherapists. Designed for those who have specific rehabilitation goals they would like to achieve or for those are are nervous about attending our Group Pilates sessions. Sessions are $65 for a 30minute individual session – claimable on private health insurance extras coverage. Tradies National Health Month shines a light on the health and wellbeing of tradies and the risks posed to those working in trade occupations. The Physiotherapists at Be Your Best Physiotherapy are experienced in the management of common Tradies health issues – including neck and back pain, shoulder and knee pain. Our Group Pilates classes are also ideal to rehabilitate and prevent work injuries – YES EVEN BLOKES DO PILATES TOO! For more information, contact Be Your Best Physio or go to: http://www.tradieshealth.com.au/ PhysiApp for tradies! Do you need inspiration to help you stretch and strengthen key muscle groups? In conjunction with Physitrack we’ve created a collection of exercise videos to help you get through the toughest days. The best part: it’s completely free and you can access it right from your phone or tablet! Download PhysiApp from the App Store or Google Play. We are currently operating from a temporary building whilst we eagerly await the construction of our new purpose-built clinic. 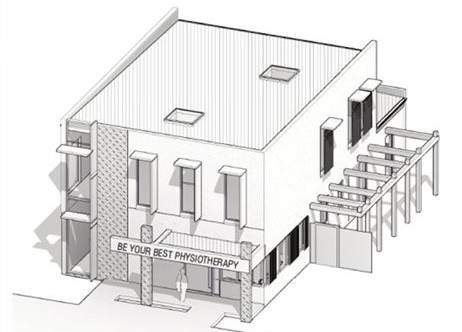 Our new clinic will include treatment rooms, a rehab gym for individual Pilates training and also video-assisted running and walking gait analysis. Upstairs will be our Group Pilates area including Pilates Reformers and Trapeze Tables. Construction progressing well and we hope to move to our new building in late 2017. WHAT IS CHRONIC PAIN & HOW DO WE TREAT IT? Chronic pain is pain that has lasted for longer than 3 months. Currently 1 in 5 Australians suffer from chronic pain. Despite what most people think, the amount of pain you experience does not relate to the amount of tissue damage in the area. Pain is an uncomfortable sensation produced by the brain based on the perceived “threat” to the area. For example if a muscle has been torn, the nerves will send a message to the brain alerting it to the damage in the muscle. The brain may then decide to send a pain signal to that area to alert you of the damage, causing you to be more protective of the muscle, avoiding further injury. Conversely think about a scratch that you don’t remember getting. At the time, the signals from the area still travelled to the brain to alert it of the damage, but the brain did not see this as a threat, therefore did not send out any pain signals. In this situation the scratch is proof that tissue damage occurred, however without the sensation of pain. Why does the pain hang around? The brain does not just rely on the signals from the muscles and tissues to determine if it should send out the pain signals, it takes on board the information from all our senses and previous experiences. Fear, anxiety and stress will also influence the brains decision to send out the pain signal. After 3 months it is likely that the initial tissue damage has resolved, however fear, anxiety and previous experiences is now having a significantly greater influence on the brain, encouraging the pain signals to be sent and for you to suffer from chronic pain. Early Physiotherapy will focus on reducing the damage to the tissues, which in turn will reduce the damage signals being sent to the brain, resulting in the brain sending fewer pain signals. However in chronic pain physiotherapy that focuses solely on treating the painful area may not make any difference to your pain levels. In chronic pain, physiotherapy needs to address all the areas that can affect your pain. FEAR: Having pain for such a long time you may be scared to do any exercise, worried that you are doing more damage. Research has shown however that understanding how pain is created can help reduce your fear about the pain you are feeling. Our Physiotherapists will help to further explain pain and give you exercises to help strengthen your muscles, allowing you to return your normal activities. ANXIETY: Your pain may have started when you bent over, you sought treatment and they told you not to bend forward as this may make the pain worse. Now you are so anxious about bending forward that even thinking about the movement elicits the pain signals. Your physiotherapist will help to retrain these movements, reducing your anxiety about them and as a result reducing the pain. STRESS: Pain can be a very debilitating sensation that can leave you feeling quite down. Exercise helps to increase the production of natural chemicals such as endorphins, improving your overall sense of well-being. It can also act as a slight distraction, shifting your focus away from your everyday pain and stress. Our physiotherapists will help you develop a gentle exercise program, tailored to your current capacity. Please contact Be Your Best Physiotherapy to find out more about our individual Physiotherapy and group exercise therapy, designed to assist chronic pain clients.